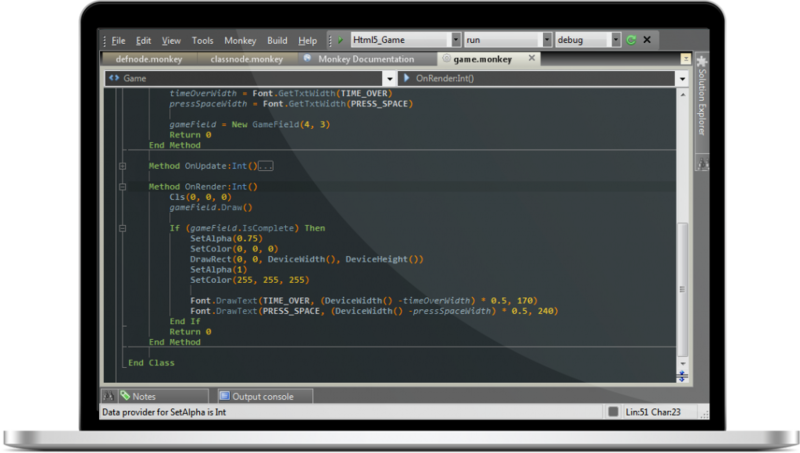 Jungle Lite is a smaller version of Jungle Ide which is completely functional. It has a project management system compatible with Jungle Ide, and some very interesting features that can make it the tool of choice for small open source projects. However, It is not as powerful as Jungle Ide, but it can be user for regular monkey coding, for open source and non commercial projects. With Jungle Lite, you can experience some of the basic features of Jungle Ide for free, for ever. Jungle Lite has a limit on the solutions it can handle. By using Jungle Lite, you’re not allowed to create projects or solutions greater than 60 source code files per project or solution. By using the Lite version of Jungle Ide, you won’t get intelliprompt or folding. This is only available in the full pro commercial version. You’re not allowed to commercially distribute any game, application or module coded in Jungle Lite. Jungle Lite is designed for freeware, open source and personal projects. Notice that the first time you install Jungle Lite in your computer, it will work as a Jungle Ide demo for 30 days. Once this period ends, the Ide will automatically work as Jungle Lite, instead of the complete commercial full featured Jungle Ide.